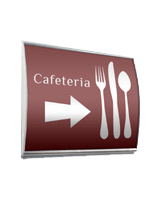 Sign has appealing convex look! Front face can swing open to make changing graphics easy. 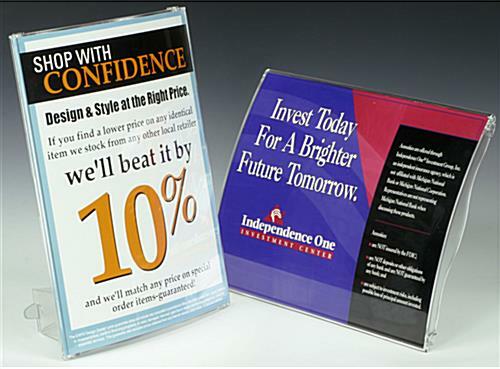 The structure is not made of acrylic, but an unbreakable polycarbonate materia! 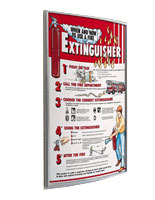 Holder can be fixed to doors or walls for interesting displays. 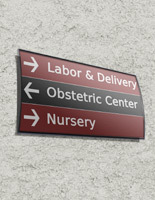 This office sign can help visitors find their way throughout the company building. 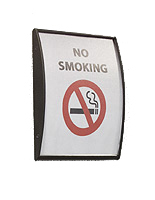 The aesthetically appealing curved structure is sure to garner notice from passersby. 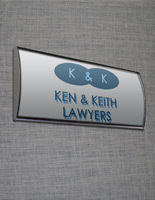 This office sign adds a modern touch to the presentation that guests will appreciate. 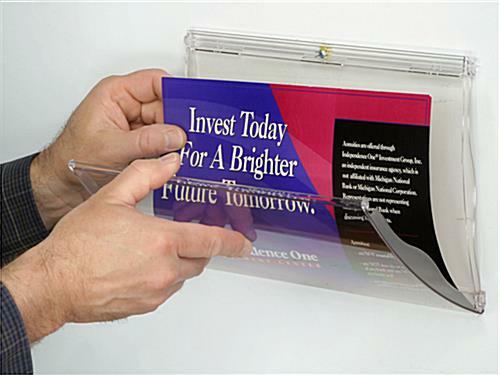 The signage holder is very easy to make message changes with. 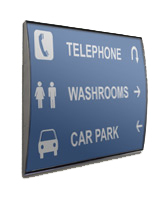 This office sign, commonly referred to as a wall holder, has a front load design for fast alterations. 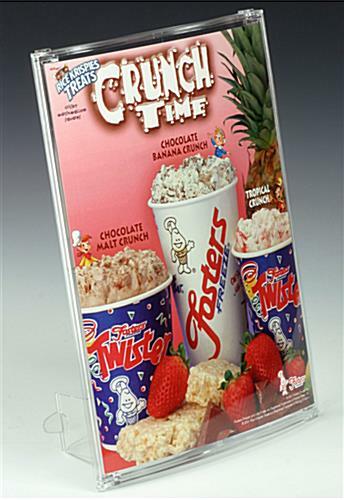 The unit is made to accommodate 8-1/2" x 11" prints from a standard printer. 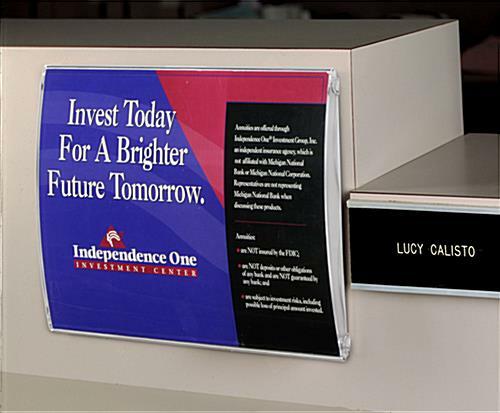 This office sign can be affixed in portrait or landscape orientation. 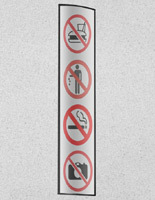 The company signage holder is sure to fit in with the various announcements.